Optimize your stay in Bangkok when you choose the stylish Park Plaza Sukhumvit Hotel, Bangkok. With amenities and services like free Wi-Fi, a fitness center and a rooftop pool, you’re certain to experience a stress-free visit whether you're here to work or play. Walk just 100 meters to the Asoke BTS Skytrain or the Sukhumvit subway station to reach top attractions like CentralWorld and Siam Paragon, or stroll to great shopping at Terminal 21. You can also explore local temples like Wat Pho or go for a jog at Benjakiti Park. If you need to conduct business, host a meeting in our elegant event space and then use the limousine service to take a client out to dinner. For convenient and delicious meals without leaving the hotel, indulge in dinner and drinks at our CO2 restaurant, or head to our rooftop poolside bar for a nightcap and a snack. 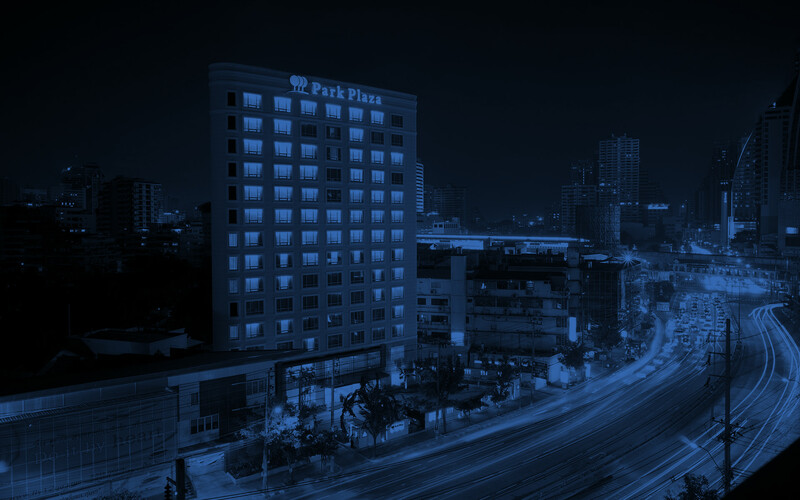 Park Plaza Sukhumvit Hotel, Bangkok provides all the essentials for a worry-free trip to Thailand, including safe and convenient limo service to the city’s major airports. Located in the city centre, our hotel places guests within walking distance of the Asoke Skytrain station and the Sukhumvit metro station. Feel rejuvenated with amenities for both business and leisure travelers, including in-room massages, a rooftop swimming pool and around-the-clock currency exchange. Stop by the rooftop fitness center for an exhilarating workout before enjoying a delicious meal at our on-site restaurant. We also offer a lounge where you can enjoy handcrafted drinks after a day of exploring local attractions, such as Terminal 21 or Benjakiti Park. Our friendly staff is always available to provide recommendations or directions to several nearby restaurants, shops, offices and embassies. CO2 restaurant and the Lounge Zone at CO2, open 6:30 a.m.-11 p.m.
Rooftop poolside bar, open 6:30 a.m.-11 p.m.
Room service, available 6:30 a.m.-11 p.m.
Complimentary snacks and juice at CO2, available 6:30 a.m.-11 p.m.
For the very best rates, email us at reservations.bangkok@parkplaza.com or call +66 22 63 5000. Travel to and from Suvarnabhumi Airport or Don Mueang International Airport. 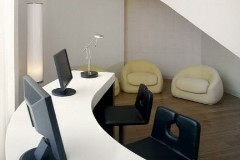 Our convenient business center keeps you focused and connected. Sweeping city views enhance your daily workout at our rooftop fitness center.